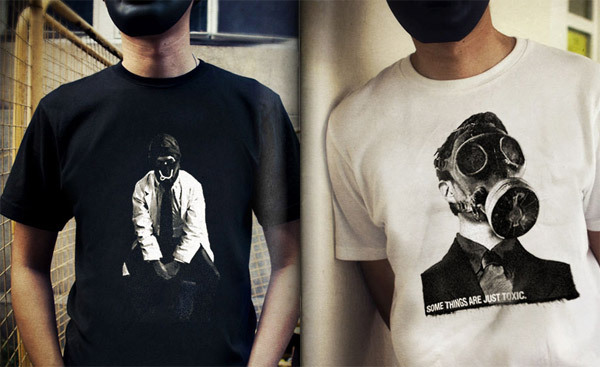 After taking a look at the tees from Less Than Positive, I came away with a laugh, a bit of puzzlement, and interest. The tees offered from Less Than Positive are definitely a bit different than what you would see from your average tee company. Take for example their “We Hate Mondays Too” t-shirt, featuring Kim Jong-Il and his army behind him, that simple states they hate Mondays too. As Less Than Positive states they aren’t trying to make a political statement with the tee, but just simply bringing to light that I guess everyone, even evil rulers hate Mondays. As I said different and maybe even a bit controversial. Also make sure to check out their lookbook.